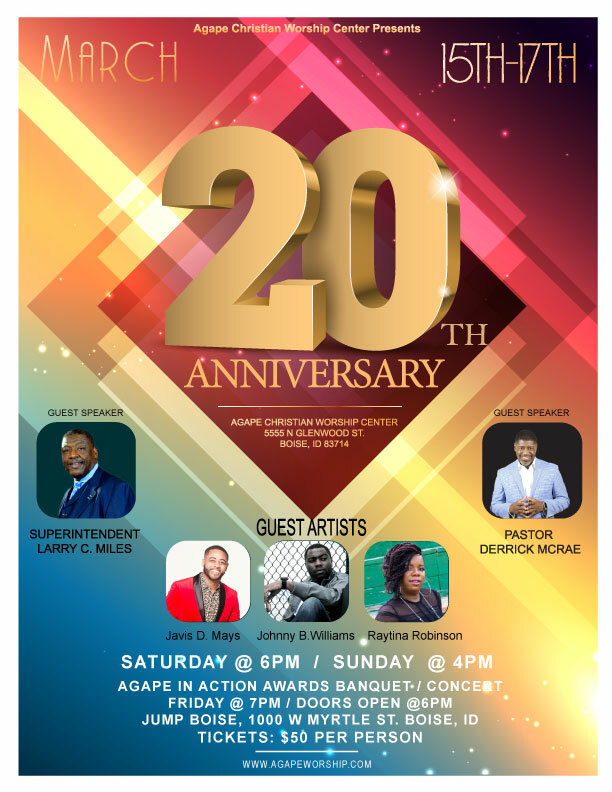 Make plans to join us next year for Agape’s 20th Anniversary Celebration. We are inviting all present and past members to make plans to attend this historic event!!! Click here to purchase tickets via PayPal.